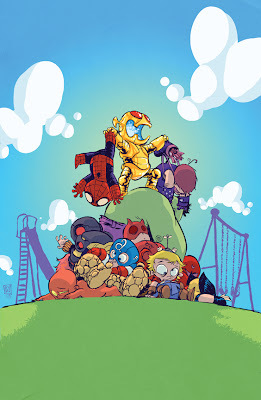 Skottie Young Covers AGE OF ULTRON #1! Marvel is pleased to present your first look at Eisner Award Winning artist, Skottie Young’s, variant cover to Age Of Ultron #1! This March, enter the darkest days of the Marvel Universe as it’s heroes fight for from the blockbuster creative team of Brian Michael Bendis (All New X-Men, Avengers VS. X-Men) and Bryan Hitch (Ultimates, Fantastic Four). Evil has triumphed over good and leading this new age is none other than Ultron, the deadly sentient robot created by founding Avenger Hank Pym who turned on his creator to achieve his twisted objective…the utter destruction of humanity. Now, it’s up to the few remaining heroes to band together and find any way to topple their new monarch. Can Wolverine, Emma Frost, Invisible Woman, Taskmaster, Beast, She-Hulk, Luke Cage, Spider-Man, and Moon Knight turn the tide? 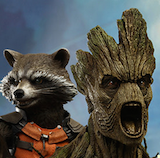 Find out this March in Age of Ultron #1!